Dr. Amy Vittor is an Assistant Professor at University of Florida’s Emerging Pathogens Institute where she studies the interface between vector-borne disease and land use. Her journey started with a research project on avian malaria and ecology in Costa Rica as an undergraduate. Wanting to delve deeper into the links between human disease and ecology, she pursued a doctorate in public health and conducted her thesis work in the Peruvian Amazon studying malaria and deforestation. She then became an infectious disease physician out of a desire to care for the patients she encountered as a researcher. While in medical training, she treated patients with HIV and tuberculosis in Botswana, Kenya, Ethiopia and Panama. At present, she works on South American eastern equine encephalitis and land use in the Darien region of Panama, and attends on the infectious diseases service at Shands hospital. 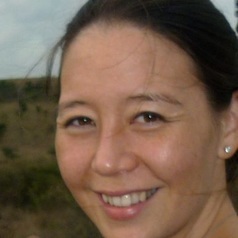 In addition, she collaborates with public health officials in the Mekong Delta in Vietnam on dengue and climate change, and has studied dengue in Kenya with the Centers for Disease Control and Prevention in Nairobi as a Fogarty International Clinical Fellow.